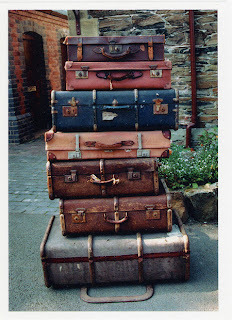 Today I'm excited to have Michelle here from A Tale of a Thousand Cities posting on five essential packing tips that will come in handy regardless of whether you're going on a weekend road trip to the middle of nowhere or jetting off to Europe for a couple of weeks. I ﻿love reading Michelle's blog because it's both informative and hilarious and never fails to have me doubled over in laughter. She's extremely well travelled and it's so fun reading about, and learning from, her adventures. Since Jenna’s off to a cute little town called Clarence with her boyfriend, she asked me if I’d like to guest post on her blog, which of course, I was more than happy to do. Her road trip with Jurgen inspired me to write a post on packing essentials, which I always find to be the most challenging part of any trip. I used to be the worst packer in the world. I mean, if I were going on a 3-day hiking excursion, I would pack ten pairs of heels and some dresses in case I was asked out on a hot date or something. Also, I would have to pack my resource books, and by the time I throw my first aid kit into my backpack, I realized that I haven’t even packed my essentials like proper boots and water. As a result, my over packing usually leads to some poor guy offering to carry all my bags for me. Start small. 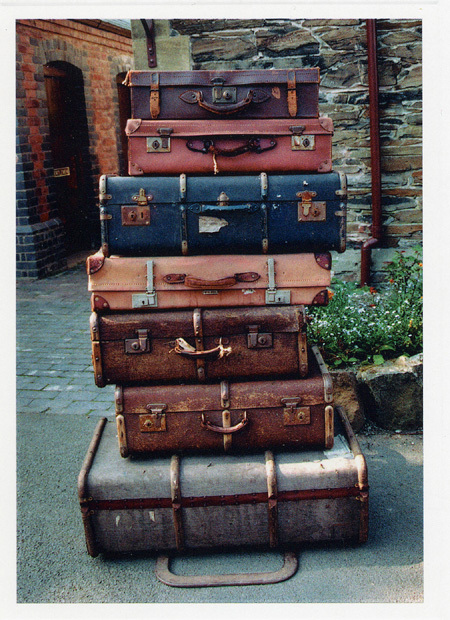 If you’re only packing for a weekend, a small suitcase or over-sized tote bag is more than enough. Even for yearly trips, a large suitcase will suffice. Once you’ve set your limit, you’ll be less likely to pack unnecessary items. Roll your clothes. It takes up less space in your bag, is less prone to wrinkling, and you can put your valuables within your clothes to protect it. Buy small travel bottles so you don’t have to bring full-sized bottles of shampoo or soap. Large bottles are also quite heavy, so this should reduce your weight significantly. Bring comfortable clothing only. You may love your skin tight sequined mini dress, but chances are, after traveling for a bit, all you want to wear are your shorts and a tank top. Leave some extra space in your luggage. There’s no doubt that you’ll be bringing a few souvenirs back! My major issue has always been to over pack clothing. One of the things I’ve found comforting is that other travelers could care less what you’re wearing. And with romantic weekend trips with the boy/girl, they find you attractive no matter what - that’s why you’re dating them right? (And besides…they prefer you sans clothing anyway). On a weekend beach excursion I once took with an ex-boyfriend, I remember all my nice clothing being in the wash. I ended up wearing a simple white t-shirt and when he came to pick me up, he remained strangely silent when he first saw me. Ahh, au naturel. I guess that’s still the way to win a man’s heart!